The LYON fabric sofa invites you and your guests to sit down and relax for a while with its elegant shape and low seating position. This sofa is made from polyester upholstery with wooden legs for extra stability and a solid beech wood frame for durability. This sectional comes with 4 pillows that has removable covers, high quality upholstery and high density cushioning that will remain firm for a long time.With its unique combination of modern design and optimum comfort, this sectional sofa can be personalized to suit your home. Comes in two connectable sections. Cory Brown Chenille Fabric Loveseat This fabric loveseat is perfect for those looking to upgrade their living room. The wide armrests and chrome legs deliver a soft modern aesthetic that creates a welcoming environment you and your guests will love. 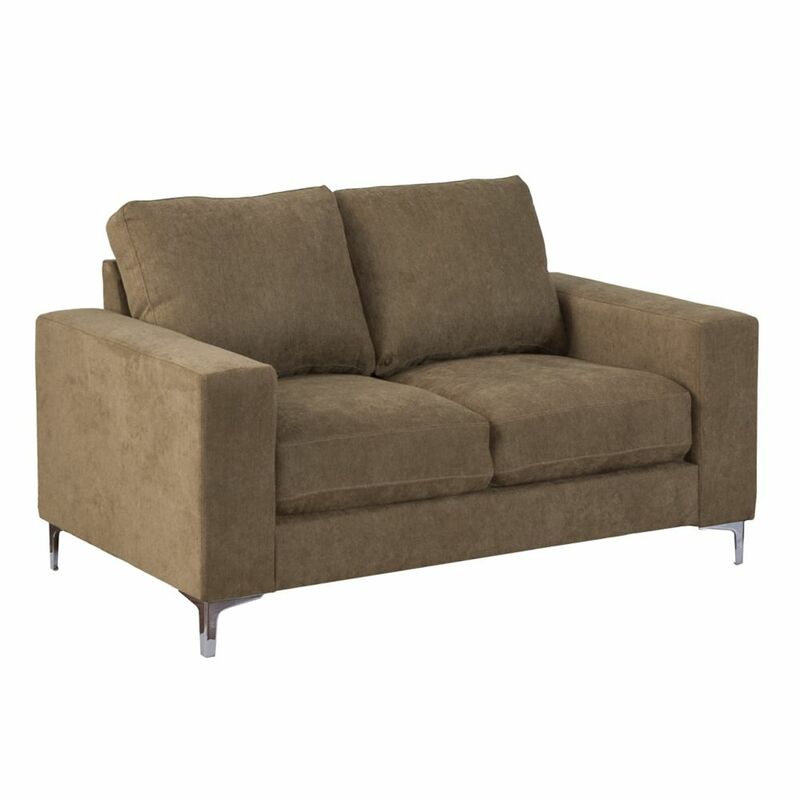 Wide padded arms, supportive cushions, and upholstered in a soft touch chenille fabric, this loveseat is a product of thoughtful uncompromising design. Bring home the perfect loveseat and create the home you've always wanted.